Published on September 15, 2014 January 3, 2015 by Rachelle J. Currently Reading: Villette by Charlotte Bronte, which is my pick for The Classics Club’s month of the Romantics, and The Hobbit and Philosophy. Finished: A Discovery of Witches by Deborah Harkness, which I hope to have a review done for it by Friday at the latest, and Adventures in Reading by May Lamberton Becker; one of the three books about books and reading I found at the library. I have several quotes from it for Thursday’s Quotables that I’m excited to share with all of you. Total number of books for the year: 42. I will hopefully finish both of my current reads by the end of the month so that I’ll only have 6 books left to reach my goal for the year, but I’m going to concentrate on Villette so that I will be able to cross off another book from my Classics Club goal list. I have 5 years in order to finish the list, but that means 10 books per year, and several of the books on my list are longer. I was able to get a lot more reading down this week than I thought, despite this usually being when my reading slows down. My classes are in full swing, but somehow it still feels like the very beginning of the semester with not a whole lot to do. I’m sure that will change, but I’m happy that I had much more time to read this week. Awesome! 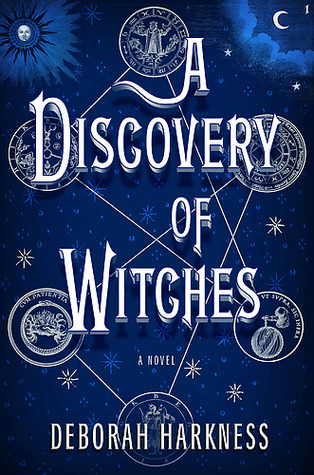 I am up to Chapter 4 in Discovery of Witches. Just started it tonight because I couldn’t wait any longer lol. How did you like it?